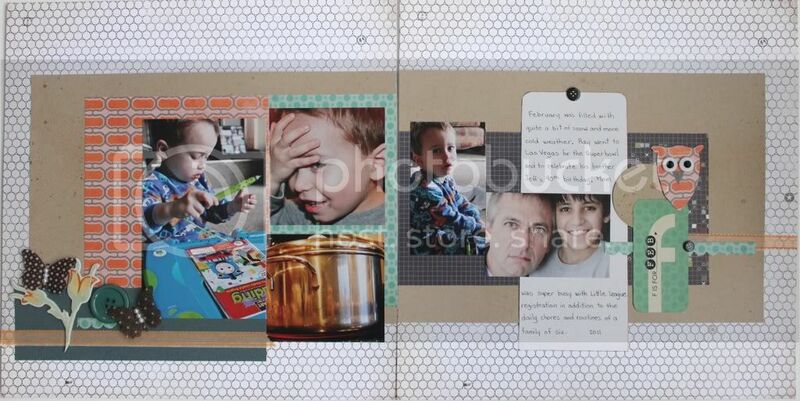 Here to share my February Project 12 layout. I didn't think I would have time to create this this month but I pleasantly suprised myself. The February sketch was a great one to work with but I did have trouble with one thing...the tree! I would have loved to put one on this layout but I don't even know where to begin to try to find tree embellies so feel free to share your tree resources if you're using them on your Project 12 layouts! 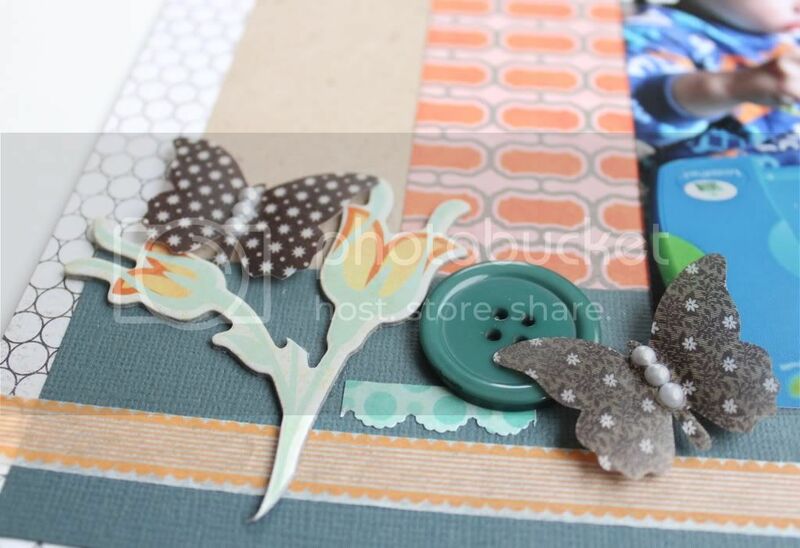 I used a bunch of different products from my stash, some Basic Grey, Bazzill cs, pieces from a Studio Calico kit, that little black chipboard button is Lily Bee, some Glitz mini alphas and the owl's eyes are iRock gems on Making Memories buttons, oh yeah a touch of Glimmer Mist too. 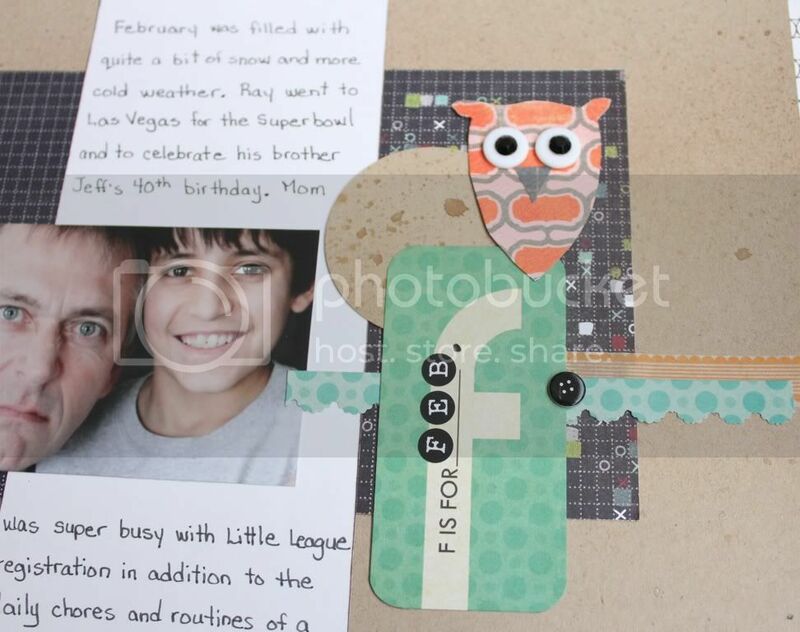 That little owl is my favorite part of this layout along with that orange paper. I also threw in some orange tape, I don't remember the manufacturer of that, just that I got it in a Studio Calico kit. So there it is, Project 12 February DONE...on to March now :). Thanks for looking!